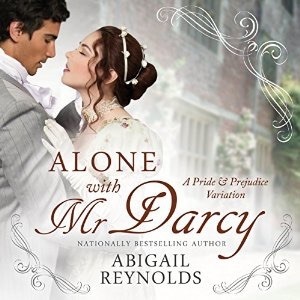 Alone with Mr. Darcy: A Pride & Prejudice Variation by Abigail Reynolds, narrated by Elizabeth Klett, is swoon-worthy. 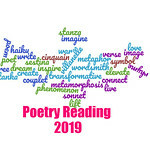 Mr. Darcy is in a dire struggle with his emotions for Elizabeth Bennet, and even as he has resolved to not act on those feelings, fate steps in and changes his course. Elizabeth happens upon him in a blizzard, and she cannot in good conscience leave him on the roadside to perish. Alone with Mr. Darcy is the last place she wants to be given his perplexing manner and his pride, but she has little choice as the snow gets deeper and deeper. As the snow levels on the ground rise, Lizzy finds herself in deeper than she ever expected where it concerns Mr. Darcy, who is injured and confused. Despite the damage to her reputation, she remains with him for several days in a secluded cabin, with little to keep them apart. Klett does a commendable job voicing all of the female and male characters, each of them easily discernible. She’s got the accents right and the attitudes correct for each character. Her rendition of the banter between Lizzy, Darcy, Richard, Charlotte, and Darcy’s steward will have readers laughing at the absurdity of it all, especially regarding all of Darcy’s well thought out plans without his own knowledge. Reynolds understands that there is a need not only for social observation in a Pride & Prejudice variation but also witty banter. Alone with Mr. Darcy: A Pride & Prejudice Variation by Abigail Reynolds, narrated by Elizabeth Klett, is a nice re-imagining in which Lizzy and Darcy not only prevent themselves from giving in to their feelings, but the best intentions of family and friends end up throwing more obstacles in their way. Reynolds has created another charming variation of these beloved characters. Isn’t it just totally amazing how many retellings of this there are? Makes you wonder what Jane Austen would think! I love that there are still more retellings. I just wonder if Jane Austen would love them all.